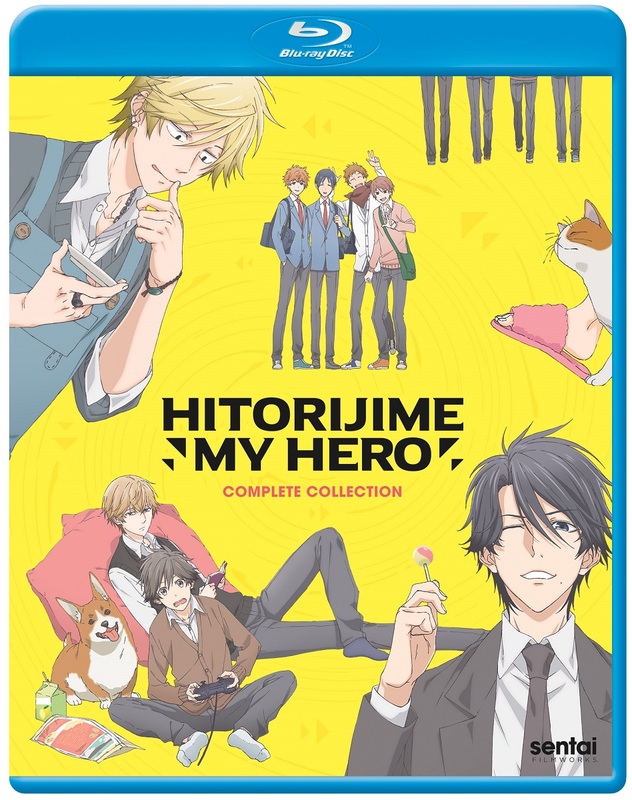 Hitorijime My Hero contains episodes 1-12 of the anime directed by Yukina Hiiro. Masahiro Setagawa has been having problems. His dad's gone, his mom's apathetic, and the local delinquents have turned him into a lackey and errand boy. Rescue comes in the most unexpected form, however, when a street fighter known as "Bear Killer" puts the beat down on the bad boys and takes Masa under his protective wing. The surprising part is that Masa already knew his rescuer, because not only is Kousuke Oshiba the older brother of Masa's best friend Kensuke, he's also Masa's homeroom teacher! But with so many ties between them already, is it surprising that Masa starts to feel more for Kousuke than a normal student teacher relationship? Math class will never be the same once Masa realizes that the numbers in his stars are all adding up to one person! This Anime is great. I loved it. it has every thing. Romance and Drama and a lot of funny things that will make you smile when your having a bad day. Now I will say if you are in to Boy Love anime and manga. Then this one is for you. I am big fan of this kind. I do have this one in my anime hobby of mine. The guys in this is cute to and pretty hot looking. I must say give it try you dont know what you are missing out on. Story is a pretty good one I must say. Buy It .